Mai Kuraki gets new album, "Future Kiss"
J-pop singer Mai Kuraki has announced that her new album, "Future Kiss", will come out officially on October 20th. Her official site lists a tentative track list for the album, and although it isn't complete yet, it still boasts and impressive amount of songs.� It will have her recent theme to the Detective Conan anime, "SUMMER TIME GONE," the Detective Conan ending theme "Tomorrow is the last time," "Watashino, Shiranai, Watashi" (KOSE CM song), "Beautiful" (KOSE COSMEPORT CM song), "Revive" (Detective Conan theme), "Drive Me Crazy" (Heroes season 3), "anywhere," and "I can do it now. "� Currently, the track listing is slated to be 13 songs with plenty of new and favorite tracks from the pop diva. The CD will be available in CD and CD + DVD versions. �The DVD version will contain a "Mai Kuraki Time Capsule Movie." 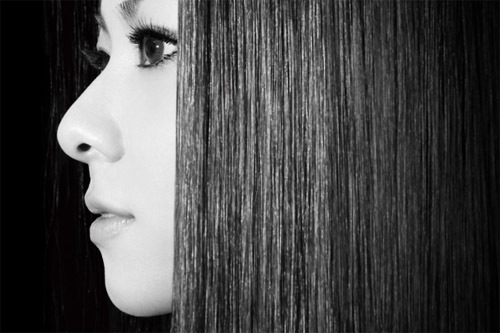 Mika Nakashima announces 6th album, "Star"
Koda Kumi shows off her beautiful hair with "Ichikami"